There may come a time when you start looking at renovating or reinvigorating old and well-loved furniture to give it a more modern flair. You may have classical pieces that have been in the family for years, generations even, favoured pieces that you want to pass down to your kids and your grandchildren, however, they may be decked out in a slightly outdated style. Even the most popular furniture can look out of place in a contemporary setting, so you want to spruce up your old furnishings with new, more modern fabric designs. 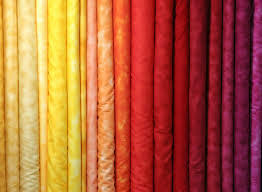 Choosing your fabric for the refurbishment is essential as it needs to meet the requirements of your day to day life. It is no good getting a luxurious yet fragile fabric such as satin or suede for cushions for a table and chair set in a busy kitchen. If your furniture has found its home in a busy part of the house, it needs to be able to stand the test of time. Two aspects that must be taken into consideration when choosing your new fabric is how well it has been designed to stand up to general wear and tear, and how it is cleaned. With so many furniture fabrics to choose from, some are more easily cleaned than others and this is important if you want a beautiful piece of furniture that is hard wearing. For example, leather – while a tad expensive – is easily wiped down and can be accessorised with a throw or blanket. Microfibre sofas are also ideal for families with young children as the densely packed microfibers make vacuuming and wiping off spills easy. Upholstery fabrics are often designed to last a good number of years, but it is always a good idea to do your research on which type of fabric takes your fancy. Once you have chosen your fabric in a pattern or colour you like, the next step is to take it to a professional furniture upholsterer. You might be thinking of giving it a go yourself, having looked at a couple of DIY links on Google, but if you really value this piece of furniture, you are better off taking it to an experienced professional. They will give it the care and attention it needs and may even make helpful suggestions towards renovating your furniture piece. Broken leg on a chair? Rusted hinge on a window seat storage box? Protruding springs on a much-loved arm chair? 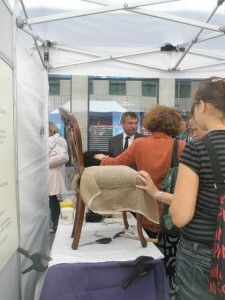 An upholsterer will be able to solve all these problems and more. However, it is also important to remember that renovating a piece of furniture – especially older pieces – will be done by hand and can take some time. Be patient when waiting for your order, miracles often take some time! Spot Test New Products – If you have bought a new cleaning product, make sure to always test it on a small spot before applying it in any great quantity. You’ll quickly find out if the fabric doesn’t like the product without having to ruin your new piece. Little and Often – Spills and stains can add up over time. If you clean your furniture regularly, wiping it down or giving it a quick hoover about once a week, you can prevent the build-up of stains. This can be a given in families with young children, but we tend to forget it as we get older and it is just as useful! Give it a quick clean. Professional Cleaning Services – All furniture needs a professional clean from time to time. Every 12 to 18 months is a good rule of thumb, depending on the exact fabric used. Always get in touch with a licenced professional cleaner, as they will be able to offer first-class advice and assistance on ongoing care and maintenance.